There’s no better way to find out what people really feel about an issue than making them have some skin in the game. Paytm has launched a direct attack on WhatsApp and Facebook over their alleged lax data policies while running their payments businesses in India. “What is important at present is that we as a country do not allow these entities to hijack our data, to be sold and misused for their own gain. It is quite clear that their business model lies around selling of the data in the light of the revelations by Facebook’s founder at the Congressional testimony,” said Kiran Vasireddy, Chief Operating Officer at Paytm. Paytm’s opposition to WhatsApp’s foray into the payments business is in stark contrast to the laissez-faire approach it had earlier advocated during the entry of Amazon and Uber into the country. While Flipkart and Ola had come together to form IndiaTech.org, a lobbying group that aimed to restrict foreign companies such as Amazon and Uber from eating away at home-grown businesses, Paytm had been conspicuous by its absence. Paytm didn’t have a big enough stake in the e-commerce space, and it had not joined Indiatech, saying that it did not oppose foreign firms from setting up shop in India. Back then, CEO Vijay Shekhar Sharma had even dismissed calls from Indian e-commerce players for protection from foreign capital dumping as just a business tactic, hinting that the topic only came up when companies realized that the competition was better funded than them. “A year or two back, the same entrepreneurs asking the government for protection… they brought in foreign capital and that is okay but foreign companies can not come in,” he’d said in December last year, referring to Flipkart and Ola which were fighting against foreign competition while being funded by foreign companies themselves. But Paytm is now finding itself facing foreign competition in the form of WhatsApp, which has launched UPI payments on its app. WhatsApp’s UPI feature has come in as a direct threat to Paytm’s business, and Paytm has spared no time in attacking WhatsApp for its alleged breach of UPI norms. 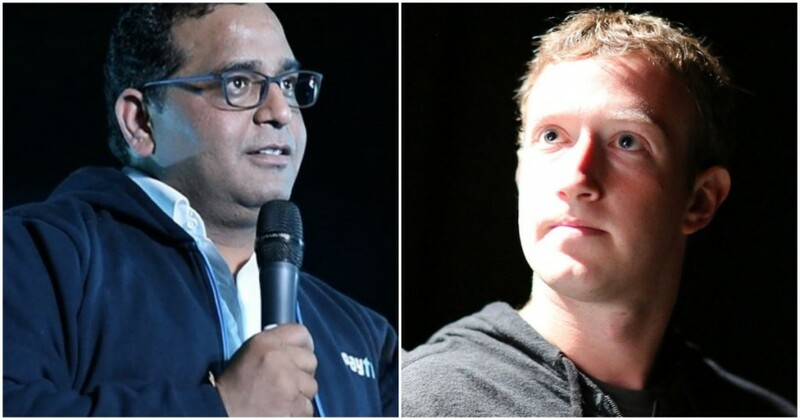 Last month, Paytm CEO Vijay Shekhar Sharma had launched into an extraordinary tirade against WhatsApp, calling its parent Facebook the most evil company in the world. After it had emerged that WhatsApp’s Terms and Conditions said that it intended to share data with Facebook, it’s redoubled its attacks. Paytm’s argument isn’t exactly the same as the one Flipkart and Ola had made while criticizing foreign competition — Flipkart and Ola had focused on the large amounts of capital that Amazon and Uber had burnt while building businesses in India, while Paytm has focused on how WhatsApp might misuse the data that it acquires. Paytm can’t possibly use the capital dumping argument against WhatsApp — WhatsApp has spent virtually no cash on its payments business so far, while Paytm has been splurging on cashbacks and discounts. The data privacy argument, however, is one which might stick, especially given how Facebook is already involved in a data privacy controversy after 87 million of its users had their information sold to Cambridge Analytica. At the moment, Facebook is being pilloried the world over for behaving irresponsibly with users’ personal data. While WhatsApp has since clarified that it doesn’t share data with Facebook for commercial purposes, Paytm’s volte face on the issue of foreign firms entering into India’s markets is striking. As long as foreign firms hadn’t directly trod directly on its turf, Paytm had been all for competition and free markets. The moment that the it’s sensed that WhatsApp could prove to be a serious competitor, Paytm, like Flipkart and Ola before it, has begun invoking the Western Company Entering India idea. In business, like in war, there are no permanent friends and enemies — only permanent interests.